The independent review, undertaken by Dame Frances Cairncross, was tasked by the Prime Minister in 2018 with investigating the sustainability of the production and distribution of high-quality journalism. It comes as significant changes to technology and consumer behaviour are posing problems for high-quality journalism, both in the UK and globally. Dame Frances was advised by a panel of experts from the local and national press, digital and physical publishers and advertising. Her recommendations include measures to tackle the uneven balance of power between news publishers and the online platforms that distribute their content, and to address the growing risks to the future provision of public-interest news. 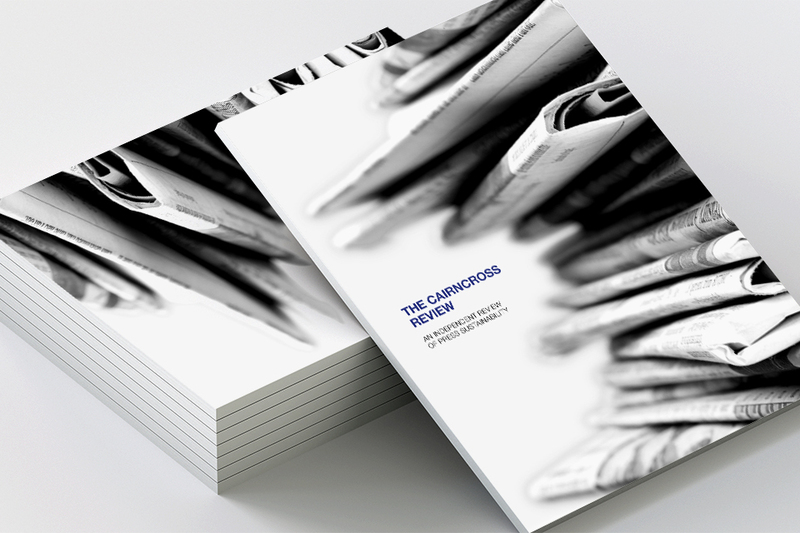 This is a thoughtful report which recognises the critical role of written journalism to democracy and sets out a series of detailed recommendations, many of which respond directly to the proposals put forward by the NMA and our members. These include a Competition & Markets Authority market study into the ‘complex and opaque’ online advertising market, new measures aimed at constraining the behaviour of the online platforms, an examination of the BBC’s impact on commercial publishers, funding support for local news publishers and tax reliefs such as extending VAT zero rating for online news publications. We’re planning a full evaluation of the partnerships later this year. Like the review, we believe in strong local journalism and have been looking at how best to develop the work we have begun with the industry and will have more to say in the near future. However, there is no evidence of the BBC crowding out other providers. This was looked at extensively during charter review. It’s vital that people of all ages have access to impartial news which is relevant to them and we provide younger audiences with a wide range of stories. “We’re happy to look at what more we can do to share our technical and digital expertise for the benefit of local publishers but, as the review itself says, any curtailing of the BBC’s news offer would be counterproductive. The Government will now consider all of the recommendations in more detail. To inform this, the Culture Secretary will write immediately to the Competition and Markets Authority, Ofcom and the Chair of the Charity Commission to open discussions about how best to take forward the recommendations which fall within their remits. The Government will respond fully to the report later this year. Read the the full report.